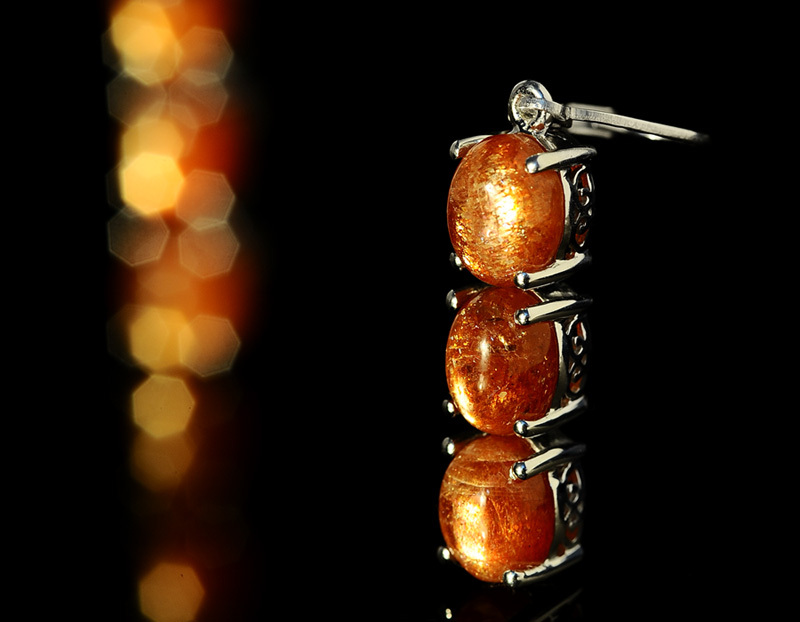 Sri Lankan sunstone captivates attention with its distinctive shimmer. Delicate glittering crystals pepper the body of this gem producing a sparkle resembling brilliant confetti. 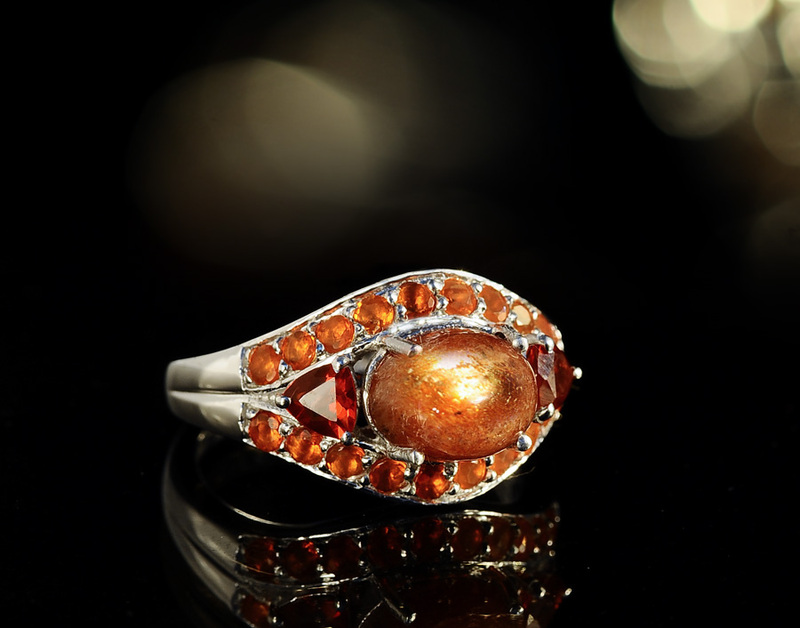 Sunstone also goes by the name Heliolite from the Greek "helios" meaning sun and "lithos" meaning stone. A member of the feldspar family of minerals this gem formed from volcanic lava flows and has close ties with the popular moonstone. Sunstone's unique look is attributed to a phenomenon called schiller. A golden-bronze iridescent luster is created by microscopic copper platelets that are naturally infused in the stone. This phenomenon makes the stone appear to glow as if it had its own internal light source. • Viking explorers would use sunstone as a nautical navigation tool because of its ability to amplify and reflect light from the sun even on overcast days. Today the sunstone continues to be associated with bringing safety to travelers. • Sunstone encourages good humor cheerfulness and a good temper while it drives away fear and phobias. 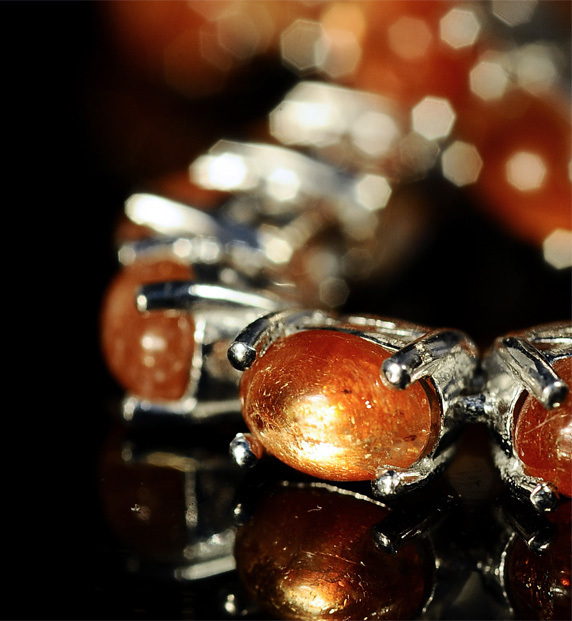 • Sunstone imparts the strength and energy needed to undertake projects and tasks. It can help increase vitality when beginning a fitness program. • Crystal healers use sunstone to warm the body stimulating metabolism and digestion. It may also be used to treat chronic throat ailments and stomach ulcers. 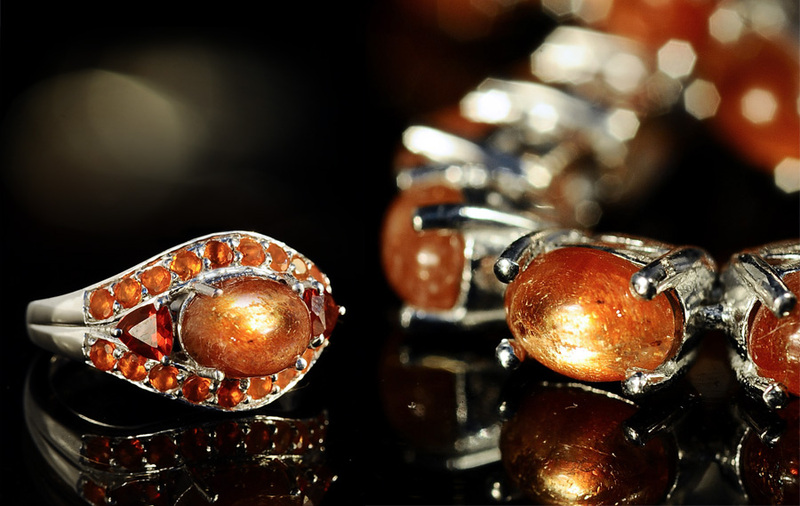 • Wear sunstone and moonstone pieces together to bring the influences of the sun and moon into harmony. 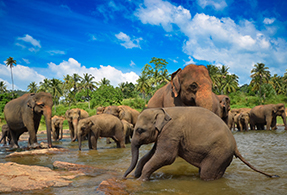 Sri Lanka and the U.S. state of Oregon are two major sources of sunstones. Any stone larger than two carats is considered very rare and valuable. This all natural stone receives no form of treatment to bring out its brilliance. Unfortunately supply of this stone has dried up. Shop LC purchased Sri Lankan sunstone from a private collector who held on to the supply for more than 15 years. Once these stones are exhausted we will be unable to share this beautiful gem with the public again until a new source has identified. Ranks 6.5 to 7.2 on the Mohs hardness scale. Colors include clear champagne yellow light salmon orange and occasional red or blue-green. Also known as adventurine feldspar or heliolite. Associated with the zodiac sign of Leo.